anthonyinphuket | Life is Beautiful isn't it ? Life is Beautiful isn't it ? Never stay in a hotel, unless you really have to. Stay in hostels, when you stay in five star hotel It’s really just against the whole backpacking method. Why backpack and stay in expensive hotels, when you can save so much more money on other things and meet other backpackers? Hostels aren’t only cheap; they are safe, and fun. Another way to save money in staying at a hostel and staying in a dorm, not a single room. Find hostel who gives discount for longer stay and provide free breakfast or facilities is a good choice. Plan your travel schedule and buy the flight ticket on advance when the promotion or deals of travel agent or flight company comes in hand. You will save a lot of money and get prepared is better to buy return ticket- But if you really don’t know how long you will travel and not sure which city you will be coming back from you better choose 1 way ticket. If your destination is covered by land , why don’t take bus and train as your mode of transportation. Instead of taking flight , taking bus and train is cheaper and definitely you will meet a lot of people on the way and also adventure. Backpacker main purpose is to travel as much as they can with as minimum money as possible. When you are staying in hostel you can always look of the leftover from the ex-guest, maybe one bag of pasta and tomato, because usually they just don’t bring it around when leaving. Trust me it will saves a lot when you cook yourself . Main principle only eat when it is a really unique or something that you crave for a long time. Remember , eat to survive, money for travel unless if you are the one who in for culinary backpacking. Bring your CV or save it on your email so you can access it through out your travel, you can always start your search of job by looking out the hostel notice boards for simple jobs such as fruit picking, waitress , telesales or promotion. You can also chat around to the staff or other backpackerbecause word of mouth is actually a great way to achieve employment. Receive any job, just remember that it’s just a simple effort to fund the more enjoyable part of your backpacking journey. Finding a job and working shouldn’t dampen your whole travel experience. Enjoy the process and gain more experience from this to know about the country more. To prepare your backpacking equipment it’s always better to consider second hand/ used gear ,second hand backpack doesn’t matter as long as it is in good condition, for exception never buy old sleeping beg, because the filling gets destroyed with time. With buying used gear you can save more money for your travel later. When you are on the market, try to bargain reasonably, just remember about flat rate and bargain the rate that you will pay for that. Bargain lower than the price that you want. But don’t bargain it too low because you will only got problem from the seller that might be angry because they think you disrespect their product. Bargaining can save you some extra bucks. From going to a museum to sky-diving. Find out the cheapest route to purchasing the tickets. Use your student card, passport, or even try to pass as a local. Every method in trying to save a dime is always what backpackers are looking for. 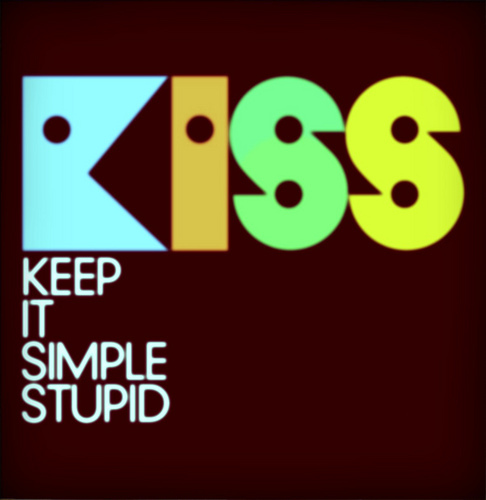 #1# Backpacking Tips : Keep it Simple !!! When you go backpacking you must KEEP your luggage simple 1 Backpack +anotherbag is the maximum that you are carrying, when you are backpacking what you want the most is simplicity and also high mobility. You don’t want to hop in to any public transportation by carrying so many stuff in, it will messed up your travel and grow more difficulties for you in the future. 1 . Pack less clothes and pants. You can just go for the whole month by 6 Tshirt, 1 Sweater, 1 Jacket, 1 Trouser, 2 short and some underwear. Remember you can always wash it in the hostel or dorm you will be staying in. So keep your clothing as minimum as possible depending on your destination, when you go to cold tempered country, you should bring more with you.bring A waterproof for if you get caught in the rainy season. Sandals also will be needed. is a must, it doesn’t take places inside your backpack, only put it above your backpack. Because you will never know where you gonna end up sleeping sometimes in backpacking trip. prepare umbrella before rain, prepare sleeping bag before backpacking. 4.Another important items to bring. 5. Always travel with a pack of cards. It’s a great entertainment for you beside music. You can also use cards as the tool to communicate with people you just know, ask them to play along they will love it. 6. Don’t leave home without a journal. The scribbled stories from Singapore , tales from Thailand and memories of amazing people and places will be what you treasure when you’re in your 50s. Think of it less as a journal or diary and more as the story of your travels. Your own little book! You will laugh on your own when you read it later. instead of much cash in hand, International ATM that worked in your destination is a good choice. Do not bring many valuable item because it’s dangerous if you may lose all the thing in foreign countries. Always carry money belt where you can put all your important thing such as passport, ATM , credit card, etc. Prepare some money and photocopy of passport on your backpack , just in case something happened. are something you will needed on your trip.keep some for your travel. You can always think to take up some snickers and drink for your emergency.. You never know when you are hungry right ? With the little baggage you can freely step your way to the adventure of new country lightly !!! : ) Best Regards, Backpacker !!! According to Wikipedia Backpacking is a term that has historically been used to denote a form of low-cost, independent international travel. Terms such as independent travel and/or budget travel are often used interchangeably with backpacking. The factors that traditionally differentiate backpacking from other forms of tourism include but are not limited to the following: use of public transport as a means of travel, preference of youth hostels to traditional hotels, length of the trip vs. conventional vacations, use of a backpack, an interest in meeting the locals as well as seeing the sights. In My university year I’ve been doing backpacking for almost all my travel, even though I don’t have my backpack yet :p. But I consider it as backpacking with its independent , cost and experience. Backpacking for me is such a great experience rather than following an expensive tour package from the tour agency etc. Staying on the backpacker inn or even crush in someone’s house couch if you can find your host of your destination in couchsurfing.com or just find some nice local friend . CouchSurfing is a hospitality exchange network and website , you have to check it out if you want to do backpacking. It will really help to save your budget if you find host for you to live in. Walking around city, looking for cheap food, cheap tourist attraction is just a new challenge for me. No glamour or luxury involved just make it really an “experience” . By doing backpacking you can explore the country itself to the sight that you will never see when you follow a group tour. You can always go to the place that suit your interest more than following a fixed schedule. If you like the place you stay, if you don’t leave, such freedom make backpacking is such a great choice of travelling nowadays. 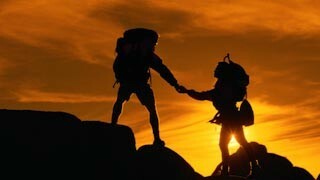 You don’t need certification or be an athlete to be a backpacker, as long as you can walk you can do backpacking. You can explore more than one country ,even one region such as South East Asia in a month or two. You can always starts from Thailand, Myanmar, Laos ,Cambodia, Malaysia, Indonesia, Singapore which is relatively near and you can just take bus or train to transit to another country. So compared to just go to one country for one week and spend a lot of money , why not do back packing which is much more cheaper and also healthier ? It’s cheaper, it’s offer adventure , it’s offer wonderful sense of self-sufficiency, tempered with a tinge of vulnerability , it’s offer the deep-seated need that most of us have to go where no man has gone before, to visit new territory and explore new frontiers. Maybe it’s a little bit tiring but count it as exercise and everything will be fine :p. So start backpacking anyone ? I think nobody gonna believe your lies anyway,except you are a lie master.what gonna be problem is, what if what you said is the truth?!?! somebody in the past got fired because they make a lie bout their boss died. 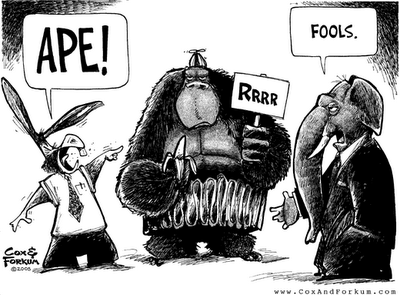 gotta be careful mate, Happy Fool’s day !!! What to do to survive in an EarthQuake ?? A while after japan, now Thailand has been hitted by an Earthquake. Seems like it’s a message from mother nature for us human to more respect and love our earth. We are destroying them and this is the warning or i should say consequences. Now , the problem is what should we do to survive when earthquake hits?Maybe death is matter of fate, but in your deep heart you still wanna live right ?! ?Tsunami and earthquake are reminder of mother nature’s power. You have to stay calm first, this is the hardest part . People would say, who can be calm when earth quake or Tsunami are on their way to your house ?But that’s what you need to do. STAY CALM. If you are inside or outside stay where you are. Don’t run . It only get you higher chances of being injured. No.2 Have an evacuation plan. Put all your important document on the safe place, anti fire place recommended. Get all important things that you may needed after the earthquake such as handphone , food, water, clothes, blanket ,flashlight etc. If you are inside a building, move no more than a few steps, drop, cover and hold. Stay indoors till the shaking stops and you are sure it is safe to exit. In most buildings you are safer if you stay where you are until the shaking stops. If you are in an elevator, drop, cover and hold. When the shaking stops, try and get out at the nearest floor if you can safely do so. If you are outside, move no more than a few steps away from buildings, trees, streetlights and power lines, then drop, cover and hold. If you are at the beach or near the coast, drop, cover and hold then move to higher ground immediately in case a tsunami follows the quake. DROP down onto your hands and knees (before the earthquakes knocks you down). This position protects you from falling but allows you to still move if necessary. COVER your head and neck (and your entire body if possible) under a sturdy table or desk. If there is no shelter nearby, only then should you get down near an interior wall (or next to low-lying furniture that won’t fall on you), and cover your head and neck with your arms and hands. This is the latest news update that a powerful earthquake struck northeastern Myanmar on Thursday night, killing one woman and shaking buildings as far away as Bangkok on Thursday, March 24, 2011 at 08:25:36 PM at epicenter. This earthquake was felt in its neighboring countries such as in northern Thailand, particularly in Chiang Mai and Chiang Rai, parts of China, Laos and even in Hanoi, Vietnam. The earthquake struck near the border of Burma (Myanmar) and was felt in its neighboring countries such as in northern Thailand, particularly in Chiang Mai and Chiang Rai, parts of China, Laos and even in Hanoi, Vietnam. CNN reports 1 woman was killed when a roof collapsed in the Thailand earthquake. 30 DAYS SUPER HEALTHY ME ! What I’m willing to share with you guys today is the world irony, while on one side of the world some people striving , suffering for losing weight to gain Size Zero ! And on the other side of the world people addicted on eating and becoming obese , extremely obese like this woman who eat up to 33000 calories a day. What we can learn is no body’s perfect . People has their own weakness and limit . But that’s what make us human. We must love ourselves first. But that doesn’t mean by putting all the junk inside our body . We must be happy and healthy at the same time. So what I’m gonna do here .Not a supersize me like Morgan do, or super slim me or become size Zero , but SUPER HEALTHY ME. I have been doing diet for more than 2 years , I lose my weight from 110 kg to 8*kg now , but now its getting a little bit harder to lose more. But on the other way i feel i gain enough knowldge that i would share for you all about all the obstacle and how i overcome it. Losing weight its a not a mere 30 days or 60 days challenge. It’s your life changing – your lifestyle, your daily choice. What I will do is basically write down all my fitness activities and put it down on the journal everyday on based on the real people’s life activity. Not as the diet program that for me limit you from your daily life activities and social life. On this archive as well I will put all the healthy life tips when you are traveler or office worker, and all based on my personal experience. All the obstacle and progress will be updated every day. You guys can comment and send question to me. We can motivate each other as well.